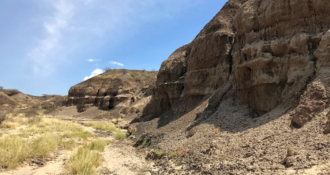 Matt Tocheri was awarded a Leakey Foundation Research Grant during our fall 2016 cycle for his project entitled “New archaeological excavations at Liang Bua (Flores, Indonesia).” For a short summary of his project you may click here. Here he updates us on the beginning of his 2017 field season. Liang Bua is a very special place, and coming here to excavate is of course always exciting. Reconnecting with our local team members who live in three hamlets (Golo Manuk, Teras, and Bere) within Liang Bua village is a wonderful time as we all greet each other, share news, and retell old stories as we drink coffee made from beans harvested from their gardens. Moke and Sopi, two homemade alcoholic drinks brewed by villagers across Flores, are often also passed around as we all celebrate the start of a new field season. The Liang Bua Team at the start of our 2017 field season, funded by The Leakey Foundation. Our archaeological research at Liang Bua is a source of great pride among people living in this area and on Flores more broadly. All of our local team members are incredibly experienced and have considerable archaeological skills and knowledge. Some of them took part in the excavations conducted here between 1978 and 1989, and their sons, grandsons, and many other relatives and neighbours have worked at the site since excavations began again in 2001. As many of our team members are older, deaths among us are an unfortunate reality, and the start of our field seasons often also comes with great sadness as we turn our thoughts to those of our team who have passed away since the previous field season. This year we remember and honour Bapak Rikus Bandar and Bapak Tony Djubiantono. Bapak Rikus was a Manggarai elder from Teras and Golo Manuk, the large hill within which the cave site is located, and long-time foreman and local coordinator of the Liang Bua excavations. 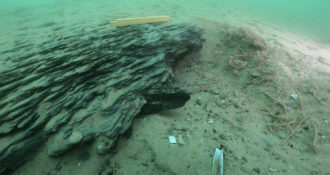 As a young man, he took part in the first archaeological excavations here in 1965. He was a continuous presence at the excavations from 1978–1989 and from 2001–2016. Two of his sons, Ansel and Agus, are also part of our team, and one of his grandsons started working with us on school holidays last year. For many years, he and his family were responsible for managing the site year-round and they accompanied countless visitors from all over the world who came here to take in the beauty of Liang Bua. Bapak Tony was from Bandung, west Java. As a young man, he took part in several of the excavations at Liang Bua between 1978 and 1985. He received his PhD from the Natural History Museum in France, specializing in paleomagnetic dating methods, and was active in geological and archaeological research in Indonesia throughout his career. He was the Head of the Branch Office of Archaeology in Bandung between 1992–2004 and the Director of The National Research Centre for Archaeology in Indonesia (ARKENAS) from 2004 until his retirement in 2011. 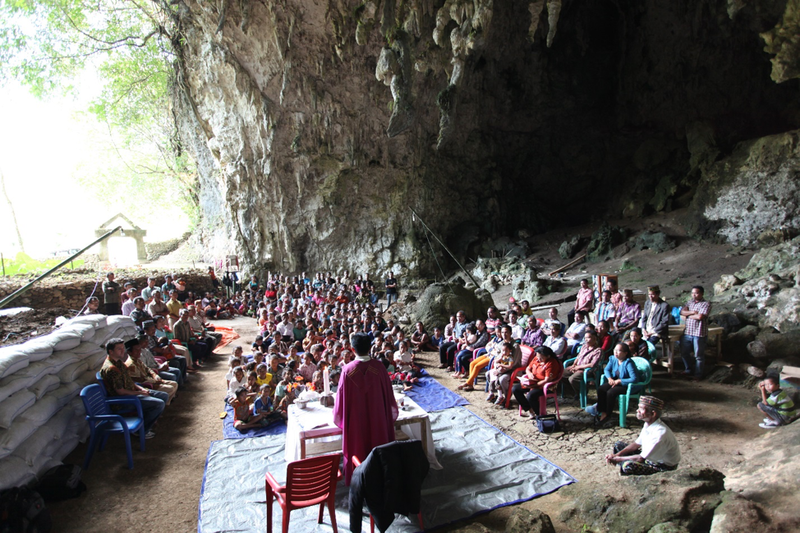 As ARKENAS Director, he oversaw and took part in research on Homo floresiensis as well as the national and international attention that followed the discovery. Three of our local team members welcome Father Robertus Mbongor to Liang Bua prior to the ceremony honouring the lives of Bapak Rikus Bandar and Bapak Tony Djubiantono. As our local team and their families are all Roman Catholic, together with them we arrange for a priest to come to Liang Bua and hold a special mass in honour of those we have lost. The wood and other supplies that we will use in the coming weeks to shore our excavation walls are first used to make pews for all of us to sit down during the mass, and the tables we will use for eating lunch, recording data, and discussing all things Liang Bua are arranged to make an altar. The priest, Father Robertus Mbongor, reveals he is from Akel, a small hamlet just on the other side of the Wae Racang, which is the river that runs ~200 metres in front of Liang Bua. He recalls playing in and around the cave as a child and in 1949, his father attended school here, the last year the cave was used for that purpose. For those who have never spent time here, it is too easy to think of Liang Bua only as the place where the remains of Homo floresiensis were discovered. But here, the cave is a regular part of the daily fabric of life for the people who live around it, just as it has been for countless generations before them. Until I began taking part in the excavations at Liang Bua in 2008, I never fully realized or appreciated the special bonds that form among the team members of long-term field projects like this one. 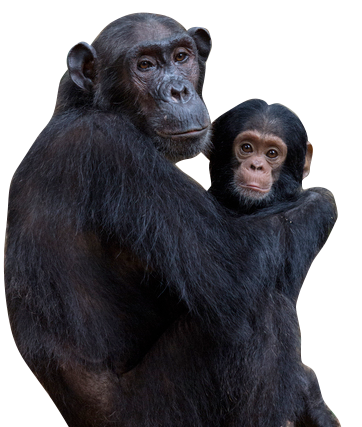 Like an extended family, albeit one that has an intense two-month reunion almost every year, we watch our children or grandchildren play with one another in and around the cave while we see each other all grow a little bit older, year by year. 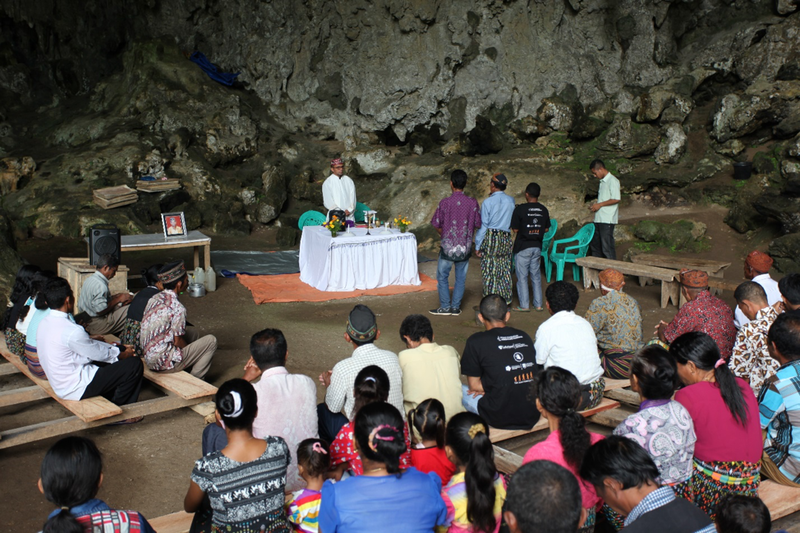 A special mass held in May 2015 in honour of Bapak Rokus Due Awe, who passed away in Jakarta near the start of our field season that year. Bapak Rikus Bandar, who passed away this past year, is seen sitting on the cave floor wearing a traditional Manggarai hat and sarong to the right of Father Johanes Samur. Although the ceremony is a Roman Catholic funeral mass, our Muslim, Hindu, and atheist team members sit and stand side by side with our Christian ones, and together we pay our respects to those that have died since our previous field season. Many sing; most pray; all of us remember. A song of remembrance sung in the Manggarai language by local people from Liang Bua village. As recorded during the 2017 ceremony at Liang Bua honouring the lives of Bapak Rikus Bandar and Bapak Tony Djubiantono. May you rest in peace Bapak Tony Djubiantono (2017), Bapak Rikus Bandar (2016), Bapak Petrus Lodo (2016), Bapak Deus (2015), Bapak Rokus Due Awe (2015), Bapak Gaspar, Bapak Stefanus, Professor Mike Morwood (2013), Professor Raden Pandji Soejono (2011), Bapak Zeus Sambut (2011), and Bapak Petrus Magar (2009).